When selling a home, Ronit works closely with you to craft strategies that highlight your property and set it apart from the rest. Utilizing a dynamic combination of strategic pricing, inventive marketing, and high impact technology, her properties get seen by the largest possible audience of buyers and agents, nationally and internationally, often resulting in lots of excitement and multiple offers. A natural born problem solver, Ronit is known for her resourcefulness in challenging situations. As an agent who is prepared for all situations and knowledgeable in her craft, she is a huge asset to her clients and is thorough in educating them every step of the way. They benefit from her expert market knowledge and experience navigating through various market conditions. Born and built in New York, Ronit Abraham offers all the knowledge and experience of a native of New York City. Growing up enchanted by the Tudor homes of Forest Hills, Queens, Ronit’s love of architecture, real estate, and design was innate. 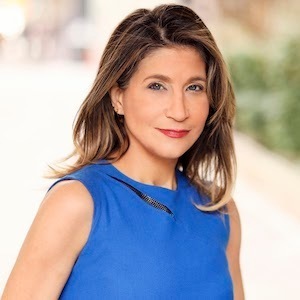 Coupled with her energetic 'can do' attitude, you want Ronit negotiating on your behalf when buying or selling New York real estate. She is extremely attentive and works closely with you to get you where you want to be. When she's not working, she is walking around with her boys Lev and Judah, showing them the stylistic differences between homes and highlighting all the new construction going on around us. They especially love seeing which houses their mommy has sold. Active in the neighborhood, Ronit immerses her family in community building activities including Repair the World. She is secretary of her Block Association and a supporter of 'Friends of Brower Park' as well as the unofficial welcome wagon in her neighborhood.